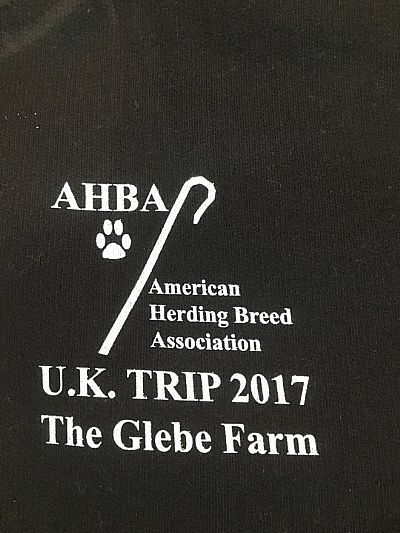 Lynn Morland of Durham, England, has been approved as an AHBA judge. Her full contact information is on the judges lists on the AHBA website, www.ahba-herding.org. Pickering, North Yorkshire. Jackie Goulder. JHD-s, HCT-s. Judges: Lynn Morland, Jackie Goulder. Huge thank you to Terry and Reegan... and all of you who brought dogs along in support of the new venture into AHBA. The first (provisional) AHBA judge in the UK; I hope one of more to come. This is to let you know you have been approved as a judge for the American Herding Breed Association. As indicated in the AHBA Judges Requirements, all approvals are provisional for the first two years or until the individual has judged at least twice, whichever comes last. Comments from the herding public will be considered in providing full approval. A provisional judge may take any assignment. Also, you will need to earn a second AHBA advanced title in that period. Let me know if any changes are needed to the website listing below. If you have any questions at any time, please feel free to contact me. Thank you for your support of the AHBA and its programs. Nearly done... back in me crocs! 16 dogs achieved a 'title' at their chosen level, thanks to having two hardworking judges Terry Parrish and Reegan Ray, on site. To earn the 'title' from the AHBH dogs must have got enough points in two runs under two different judges. if just one run qualifies its recorded as Leg 1 and you can add the next at a different trial. So 16 out 17 earned at least one leg in their class. We also had three Pyrenean sheepdogs who did not enter trials but did a demo run and some instinct testing and impressed the judges. So 19 dogs with 12 handlers supported this new venture. David Reeves.. Just curious? But why HTD rather than HRD which is similar to the FCI traditional done in a lot of Europe now for all breed herding? Reegan Ray David, for a first trial HTD is more recognizable as a traditional course in England. We wanted the appeal to be broad. Including all breeds, but not excluding the collie and the new collie handler. It will prove useful to those wishing to train for the nursery level in isds and can better address the whole herding population. Other breeds can do that course and do it well if they develop a good outrun. 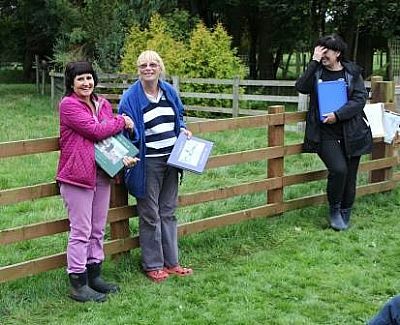 The purpose of bringing this program to the UK is not just to address the lack of venues to exhibit closer and useful work that many breeds do beautifully, but also to add a venue for those with collies to train for a high level of expertise and get trial experience as they pursue isds competition. Something to work their young dogs in, that also has a high standard, to get some of the skills they need before jumping into isds trials. Having a supportive herding population will really help launch the program. I can tell you from personal experience that running an alternative breed against some of the best handlers and collies here, and winning, is extremely exciting. It makes everyone up their game. As for HRD, it's my favorite course! It is creative and fun. I know Jackie is excited about offering it and has already been developing an HRD course design for her facility. Sorry to over respond. 🙂 But those are the reasons. A lot of thought went into presenting the courses we felt folks could envision themselves doing, and actually do at a first trial, to understand the point system and the program as a whole. But HRD is definitely on the horizon. 'Since I started herding and handling early in Boxers herding, and eventually was hooked and wanted to see the Boxer respected for its talent, I got some advice from my trainer and others. Compete in lots of places other than where you train and try to get your advanced titles and championship points on the harder courses if you can. I was really lucky to have a BC trainer who insisted on square flanks and that the dog take responsibility for the sheep. Default had to be, cover and bring ALL the sheep to me. She tells her students that if she dies on the field, she better be found with her dog holding all the sheep to her cold dead body. lol! Neither of us knew when starting Pip, whether she would be a thinking partner that could be trained to cover well or drive well enough to work in the field, never mind get an outrun good enough to do more than the fetching beginning levels in an arena. But the basics were insisted upon. Stop the dog and set up and send it again if it crosses over. Don't let it ever have its sheep if it crosses over. Take a step back in training and get closer to the sheep and push the dog out again before attempting to send from your side. Work your flanks until they are understood verbally before you move up to compete at the trial level. Get a solid stop once you are past the JHD and PT and before you move up. Don't train them in a trial situation. In the test levels it's expected that the dog is still learning those skills even though you must exhibit a stop. It can be asked for several times. But get more confident in it before moving up to the trial level. It may not be solid in a trial situation every time you need it, but you should be getting it most of the time in practice before you attempt A course or HTD or HTAD 1. These things are hard to know about when 1st starting herding and there will be a lot of trainers that will assume that a boxer can't get wide flanks or an outrun that isn't straight up the middle. The expectations will often be lower. Both Louise and I had trainers that took the training seriously and had healthy egos regarding exhibiting work that wasn't up to what was known other upright breeds could do. Lynn knew early on that George could be taught to drive, and he even was used to exhibit that in one of her training DVDs. Terry knew early on that Pip would cover and bring me the sheep in any situation and tossed us out in the field the moment Pip understood her flanks, to work large flock. But we were super lucky to find trainers like that. Who train and compete a lot in all venues and had a level of expectation most trainers don't have for any upright breed. No one needs to take on that pressure or those goals though! That was just my experience and those were my goals. I had something to prove as time went on. And a trainer excited to be a part of the journey. But I still hope folks will watch the other herding breeds at their lessons and watch what your trainer expects from them. Are they asking the same precision from you and your boxer? When you get to trial, how is the student who started training at the same time doing with their dog? Once you get a few skills, go do the PT again or the JHD again, at a different place, on different sheep. Take lessons with other trainers and audit clinics. Our club doesn't even offer the HTAD III. Our members may get a HTCH on the home field as they say, but it won't be on an HTAD...learn why. Get a B Course title. Go run it again in another trial facility. Pip got most of her championship points away from home. I didn't want anyone to say she could only work a pattern where she was familiar and the sheep had seen a boxer. Nobody needs to take that on, but bottom line...you will get so much more out of the experience if your situation allows you to travel to show your Boxer with good skills off on new sheep in a new place.